Global Process Spectroscopy Market size contribution wasgreater than $801 million for 2015 and is projected to register CAGR higher than 6.6% during forecast timeline.The equipment helps in monitoring and checking the quality of process carried out in firms in order to reduce errors as well as re-work. This has promoted the global process spectroscopy industry trends during forecast timeline. Further, increasing consciousness among industries about significance of these equipments is projected to stimulate industry demand. Firms with inefficient process monitoring method can face various problems of visual faultsand high manufacturing time as well as increase in inventory time that can tarnish its reputation andimage. All these factors have contributed to increase in process spectroscopy market share globally. 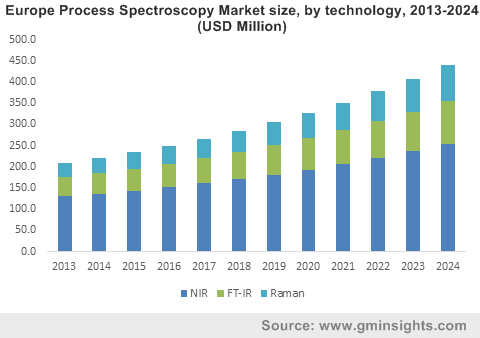 Global process spectroscopy industry is segmented into technology like near infrared spectroscopy (NIR), Fourier transform infrared spectroscopy(FT- IR) and Raman spectroscopy. Near infrared spectroscopy technology segment contributed more than 60.1% to total process spectroscopy market share for 2015 and is projected to register CAGR of more than 6.1% during forecast timeline. Growth of the segment can be credited to its increasing use in many sectors likebiogas plants, quality monitoring, plastics identification in chemical sector, food industry and paper production control. 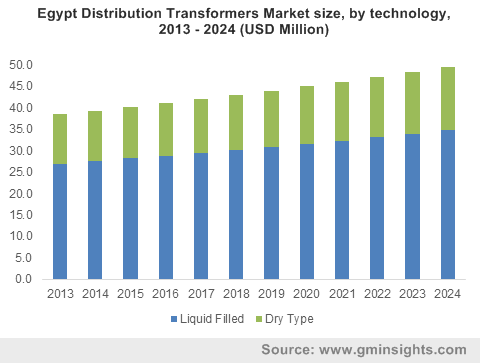 Fourier transform infrared spectroscopy technology segment was evaluated at more than $171 million for 2015 and is predicted to contribute more than 20.1% of global industry share by end of forecast timeframe. Increasing utilization of the technology in assessment and identification of many substances as well as chemicals & compounds like fibers, chemical warfare agents, particulates, narcotics, residues andpesticides can fuel global process spectroscopy industry demand in future. Global process spectroscopymarket is segmented into various geographical locations like MEA, North America, Latin America, Europe and Asia Pacific. Presence of major industry players and strict quality standards in food & agriculture sector, pharmaceuticals sector and healthcare sector is predicted to drive U.S. process spectroscopy industry growth. Process analytical technologyis a technique that plans, examines and controls production by determining parameterswhich affect critical value attributes. Food and Drug Administrationframed process analytical technology framework to assure outstanding performance. All this has resulted in growing acceptance of the framework by many pharmaceutical firms in U.S. Due to this, U.S. process spectroscopy market is predicted to experience great impact of the framework in future. 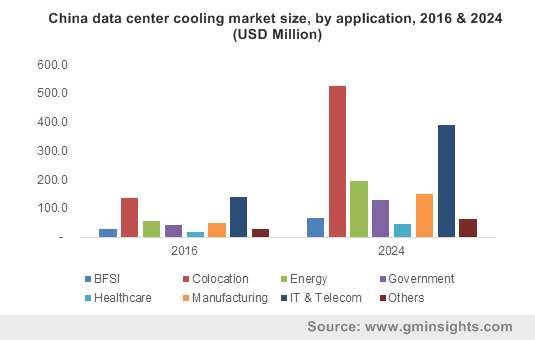 APAC process spectroscopymarket is predicted to register CAGR of about 8.1% in revenue terms during forecast timeline. Industry players are growingly relocating their research & development units as well as production units in the region due to low costs of labor and resources. All these factors are projected to contribute towards regional industry growth. Major industry participants profiled in the report include Yokogawa Electric Corporation, ABB Limited, Horiba Limited,Bruker Corporation, Danaher Corporation, Agilent Technologies Incorporation, Sartorius AG, Buchi Labortechnik AG, Foss A/S, Kett Electric Laboratory, Shimadzu Corporation and Thermo Fisher Scientific Incorporation. This entry was posted in Electronics and Media and tagged FT-IR, Global Process Spectroscopy Market, Infrared Spectroscopy, Molecular Spectroscopy Market, NIR, Process Spectroscopy, Process Spectroscopy Market, Process Spectroscopy Market Analysis, Process Spectroscopy Market Research Report, Process Spectroscopy Market Share, Process Spectroscopy Market Size, Raman, Raman Spectroscopy Market. The global biodefense market is experiencing a transformational shift in dynamics in the recent times owing to extensive technological advancements in biotechnology sector. One of the prime instances of the same is the massive number research and development studies undertaken in biothreat detection devices, which are utilized to assess the threats against deliberate release of microbes and viruses. Powered by the impact of technological advancements observed across the biotech industry, along with the rising demand for vaccines and biothreat identifying agents like reagents and assays, biodefense market is anticipated to traverse alongside a profitable growth path in the upcoming years. Rising awareness among governments in developed countries, about the major impact of bioterrorism attacks on economy, has a major role to play in the expansion of biodefense market. Various strategies are being implemented to safeguard the population against bioterrorism attacks. Initiatives like stocking vaccines as well as the development and production of bio-threat detection devices would also escalate the growth of biodefense market in the years to come. For example, economies like India have higher susceptibility towards agricultural bioterrorism, on the grounds of which, the government is undertaking several initiatives for protecting the nation since a major portion of the population is dependent on agriculture as their main occupation. The New York based pharmaceutical firm SIGA Technologies, Inc. has recently announced that the U.S. Food and Drug Administration (FDA) has approved the use of TPOXX (tecovirimat) in the treatment of smallpox disease. Responsible for smallpox infection, the often-deadly and highly contagious variola virus is described as among most devastating disease in the world known to humanity by the World Health Organization and is mostly spread through direct contact among people. The FDA approved TPOXX targets and inhibits the orthopoxvirus VP37 protein’s activity, along with blocking its interaction with cellular Rab9 GTPase and TIP47. Accomplishments like the aforementioned are estimated to further augment the trust factor and goodwill of the company, which in turn will help the firm enhance its position in the biodefense market. Biopharmaceutical company Emergent BioSolutions Inc. has recently developed a vaccine for anthrax which might elicit a faster immune response compared to the anthrax vaccines currently available. The multinational specialty firm has submitted an application on December 28, 2018, to the U.S. FDA for the use of its anthrax vaccine NuThrax. As a next generation anthrax vaccine, NuThrax has been developed for post-exposure prophylaxis of disease due to confirmed or suspected Bacillus anthracis exposure. The submission is predicted to undergo review in the first half of 2019. The launch of such advanced vaccines is certain to advance the commercialization potential of the biodefense market in the years to come. Biotech firm PathSensors has recently announced that it is providing a Los Angeles based robotic juice dispensers company, JuiceBot, with its biosensor technology. The proprietary cell-based biosensor technology, CANARY, delivers extremely quick detection of pathogens at unseen levels of specificity and sensitivity. The technology has been tailored to sensitively and rapidly detect biological threats in agricultural, food and building security applications. Driven by the technology’s widespread application spectrum majorly inclusive of biodefense, PathSensors is on its way to establishing itself as one of the most proactive stakeholders of the biodefense market. 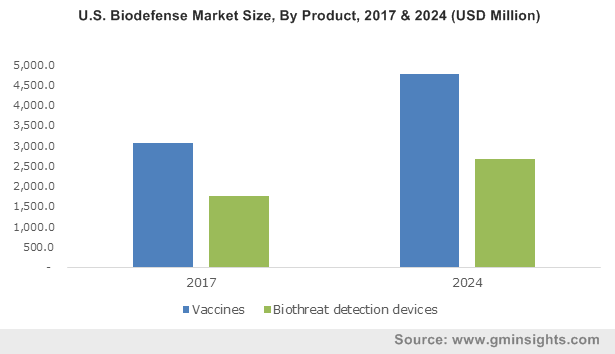 Analyzing the efforts undertaken by leading market players, it is evident that the biodefense market would register a significant growth rate in the upcoming years. The competitive spectrum of biodefense market is quite diverse, and comprises renowned companies such as BBI Detection, Alnylam Pharmaceuticals, Nanotherapeutics, Achaogen, Bavarian Nordic, Cleveland BioLabs, DynPort Vaccine Company, Ichor Medical Systems, Elusys Therapeutics, Dynavax Technologies, AISense and Altimmune. 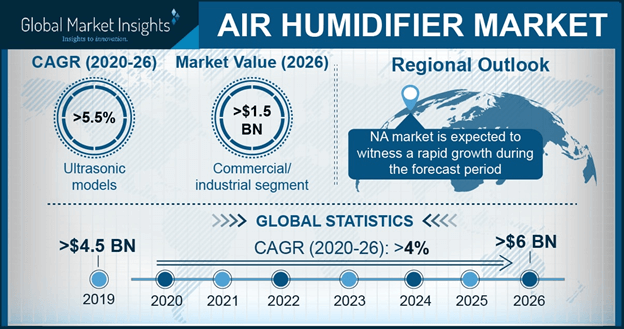 This entry was posted in Healthcare & Medical Devices and tagged Anthrax, Antimicrobial Agents, Biodefense Market, Biodefense Market Growth, Biodefense Market Size, Biological Warfare, Biological Weapons, Botulism, Emergency Bio Threat, Nuclear, Precise Analytical Instruments, Radiation, Small Pox, U.S. Biodefense Market. 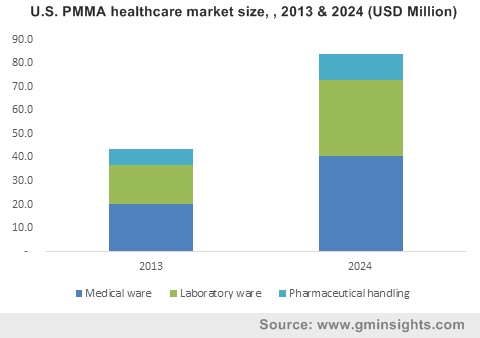 However, tight supply of raw substances for manufacturing monomers can limit supply of product and can adversely affect global (Polymethyl Methacrylate)PMMA market price trend in healthcare applications. Global (Polymethyl Methacrylate)PMMA market is segmented into geographical locations like Europe, MEA, Asia, Latin America and North America. U.S. (Polymethyl Methacrylate)PMMA market led the industry demand for North America. It was evaluated at more than $48.1 million for 2015. Large aging population in U.S. along with strict FDA (Food and Drug Administration) rules to reduce use of harmful plastics in medical sector is predicted to favorably influence industry expansion. APAC (Polymethyl Methacrylate)PMMA industry led by India and China is predicted to record CAGR of about 8% during forecast period and register maximum gains. Growth of medical equipments segment owing to technological breakthroughs in China and Japan are key aspects driving regional industry growth. 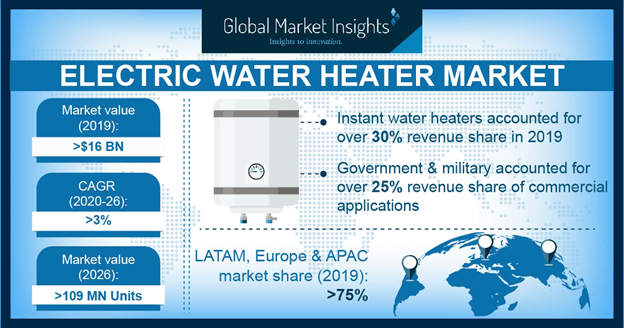 This entry was posted in Polymers and Advanced Materials and tagged Application Potential, Competitive Market Share & Forecast, Healthcare Applications, Laboratory Ware, Medical Ware, Pharmaceutical Handling, PMMA Market Size.